A lovely light and spacious HALL with wooden floor in a historic Grade II listed building, suitable for yoga, dance, meditation etc, and for a variety of events in an attractive setting next to the Pells Park and Pells pool in Lewes. There is a "QUIET ROOM" off the Hall, for relaxing, changing, refreshments, and used for storing tables and chairs, and with some storage space available for hirers. This room is included with the Hall Hire. There is a kitchen nearby. Also available in a separate building is a light and spacious carpeted LARGE CLASSROOM, kept empty but with chairs and tables available, and with a sink and tea making facilities. Next to the classroom is A MUSIC/ MEETING ROOM with a piano set into an alcove, providing a large and light setting for music lessons or for meetings of up to 12-15 people. The Hall (76 m2) including Quiet Room (30 m2) : £10.50 per hour (£70 per day) and £9.50 per hour (£60 per day) for not for profits. The Large Classroom (78 m2): £10.50 per hour (£70 per day) and £9.50 per hour (£60 per day) for not for profits. The Music/Meeting Room (33 m2): £8.50 per hour (£50 per day); £7.50 per hour (£45 per day) for not for profits. Special rates are available for those giving individual music lessons. Availability: Seven days a week, daytime and evenings, public holidays and school holidays. Hire Costs: For HALL or LARGE CLASSROOM: £10.50 per hour, £70 per day; £9.50 per hour, £60 per day for not for profits. For MUSIC/MEETING ROOM: £8.50 per hour, £50 per day; £7.50 per hour, £45 per day. 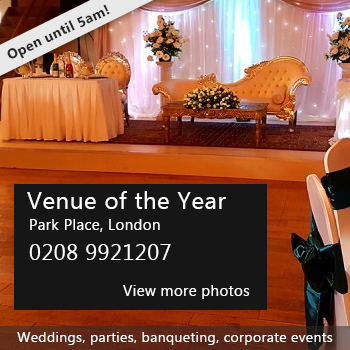 These prices apply to all days and times and please NOTE: - Prices for the hire of the Hall include the use of the Quiet Room that opens off the Hall. - Special rates are available for those giving individual music lessons in the Music/Meeting Room. - We are happy to discuss rates for special circumstances and for extended hires, or for special requirements. There have been 0 reviews of The Lewes New School. If you would like to send The Lewes New School a booking enquiry, please fill in the form below and click 'send'. Perhaps some of the following halls within 5 miles of The Lewes New School would also be of interest?